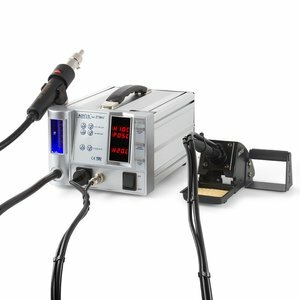 Powerfull and compact ESD-safe hot air rework station. 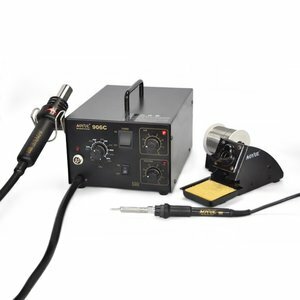 Designed for reworking of the full range of electronic components (DIP, SOIC, CHIP, QFP, BLCC, BGA, etc). 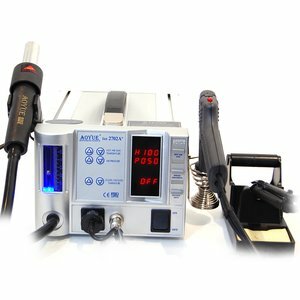 Temperature range 100 - 450 ºC. 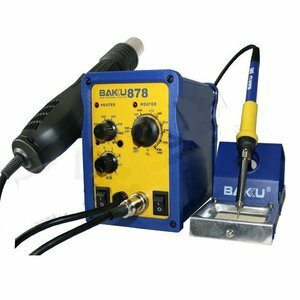 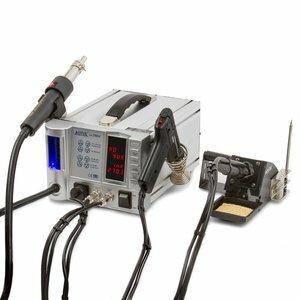 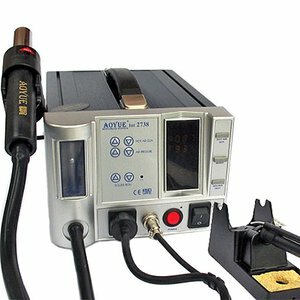 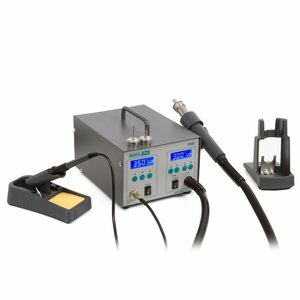 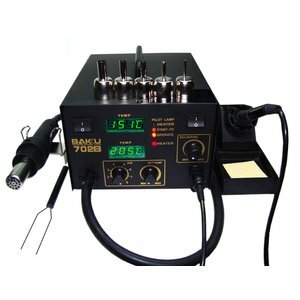 Powerfull hot air soldering station for soldering and desoldering components such as SOIC, QFP, PLCC and BGA IC's. 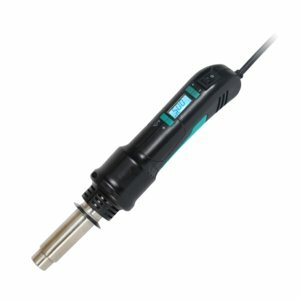 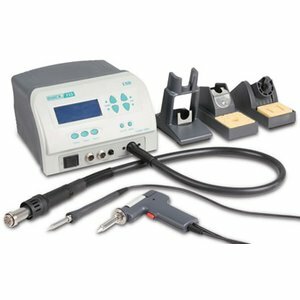 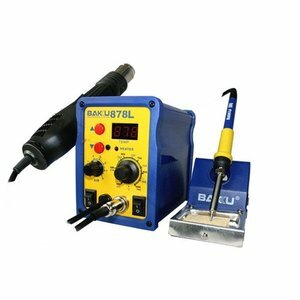 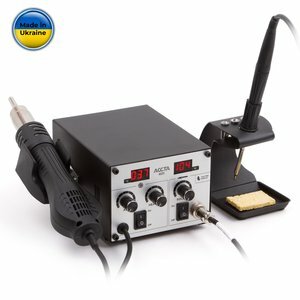 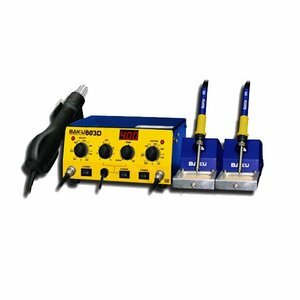 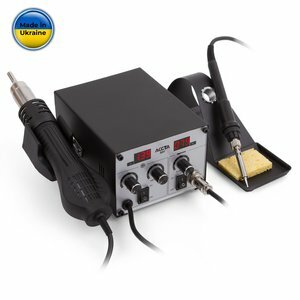 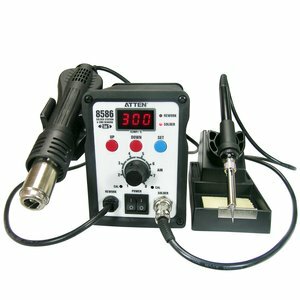 Powerfull ESD-safe hot air soldering station designed for soldering and desoldering operations with the full range of SMD components. 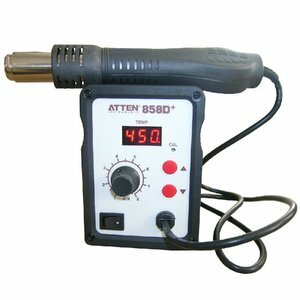 Temperature range 100 - 480 ºC. 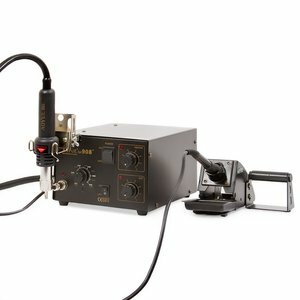 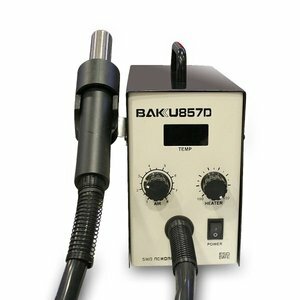 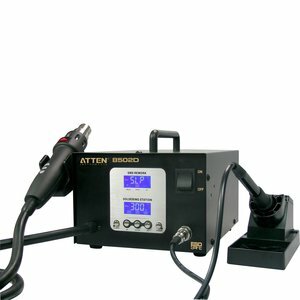 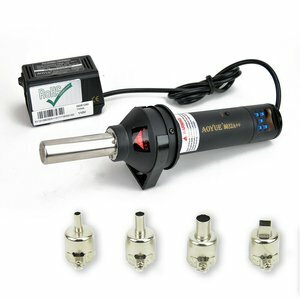 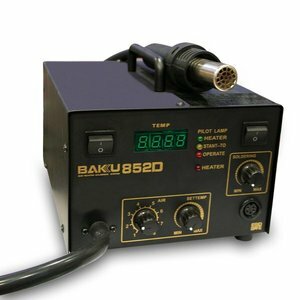 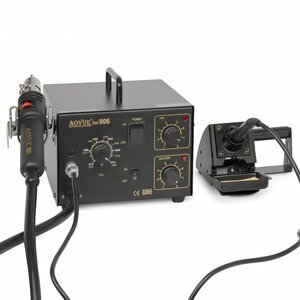 Hot air rework system for soldering and desoldering with a hot air gun and a built-in vacuum pump.